sin∞fin - Performances at the Holy Centre (2011). Performance-based film episode. VestAndPage, Still from sin∞fin - Performances at the Holy Centre (2011) Courtesy of the artists. The VENICE INTERNATIONAL PERFORMANCE ART WEEK 2014 screens the second episode sin∞fin - Performances at the Core of the Holy Centre (2011), produced in collaboration with the Sarai Centre for Studies of Developing Societies in New Delhi. sin∞fin is a trilogy of films of collaborative performances in epic locations around the world. Teetering between the real and the visionary, the films feature the two protagonists undertaking surreal and ephemeral acts. Amplified by the unfamiliar environments, the performances reflect on universal human experiences such as altruism, partnership and the transient nature of existence. Episode #1, Performances at the End of the World, set in Chilean Patagonia and Tierra del Fuego (2010) thematically focuses on the intimate, inner domain of the individual and the couple. 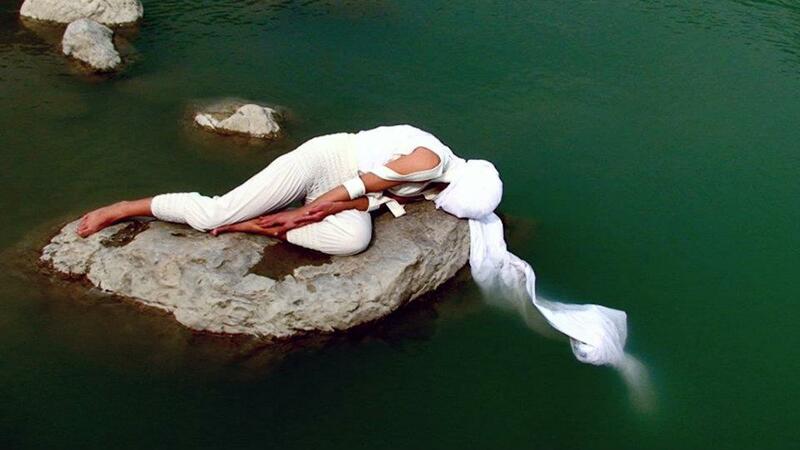 Episode #2, Performances at the Hole Centre, located in Northern India and Kashmir (2011) highlights the topic of society and religion. The concluding episode, Performances at the Core of the Looking-Glass, filmed in Antarctica (2012) engages with narratives on nature and the universe. Without script or storyboard, the artists’ actions evolve in direct response to the surroundings in which they find themselves. The camera records what possible spectators would view, yet the film is not a documentary. Instead the works are pieced together organically, forming an autonomous story generated through the process of making to be read by each viewer in a personal way. Courtesy of the artists and Video Out Distribution, Vancouver.